Close to 48.2 million tonnes of eWaste was generated in 2017, of which only 20 to 25 per cent was documented to be collected and recycled, said growth partnership company Frost & Sullivan in a new report. The remaining waste was either landfilled or disposed of unsafely or illegally in lesser developed countries, added the report titled “Global Waste Recycling Market Outlook, 2018”. This scenario is likely to persist in the absence of stringent regulations, closed-loop supply chains, and greater producer responsibility. China made a market-altering decision when it announced a ban on the import of 24 categories of recyclables and solid waste by the end of 2017. This decision will force the world's biggest waste importers, which include the UK, the US, Europe, and Japan, to build new recycling infrastructure in their own facilities or look to other Southeast Asian countries for waste management. The analysis forecasts waste volumes, revenues, services, and examines the latest trends that are influencing the market. It also highlights the recycling opportunities generated by different waste streams and the impact China's waste ban will have on the import of foreign waste. It covers the segments of municipal solid waste (MSW), industrial non-hazardous waste, waste electrical and electronics, construction and demolition waste, and plastic waste. 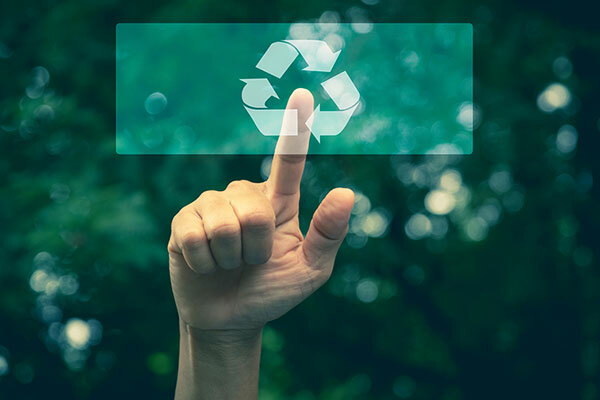 "The waste recycling market, like its end-user industries, is experiencing disruptive changes due to the advent of advanced digital technologies. For example, smart waste bins with IoT capabilities will play a significant role in changing the way waste is collected and sorted,” said Deepthi Kumar Sugumar, Research Analyst Energy & Environment. "Similarly, the rise of 3D printing technologies has made it much easier to recycle plastic waste. Many industries are turning plastics into high-quality filaments to replace spares, lowering the need for re-manufacturing." Although technology has improved waste management considerably, market participants using these technologies will be challenged to convince industries employing conventional, low-OPEX, -CAPEX methods to switch to modern systems. They need to be made aware of the role novel recycling systems can play in enabling a circular economy. Meanwhile, the use of cutting-edge technologies is giving rise to innovative business models such as commercial waste collection zones. These models allow haulers to invest in infrastructure improvement and introduce inventive methods for MSW collection. By optimizing waste collection routes, combining real-time data, and employing data-related technologies such as predictive analytics, it will be possible to eliminate the unplanned dispatch of vehicles to collect waste. BHS, ISB-Global, and Trinov are a few notable companies that perform waste analytics and reporting to improve waste management efficiency.